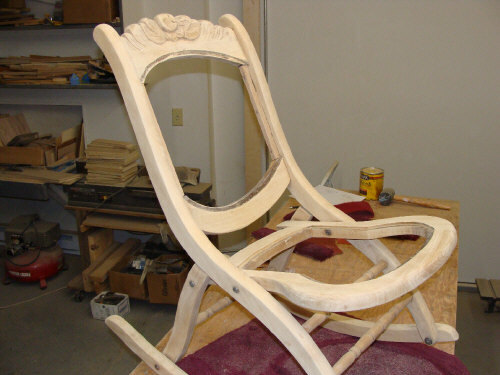 Here are some of the chair repairs and refinishings I have done. 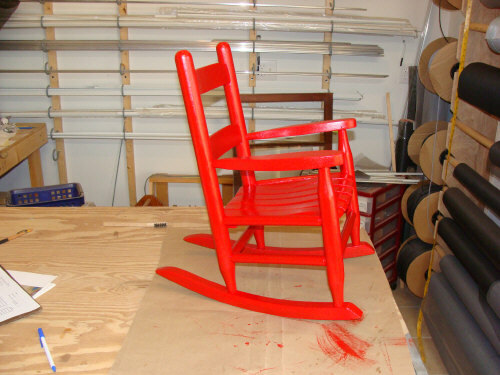 A cute little childrens chair. A simple sanding and repainting is all she wanted. 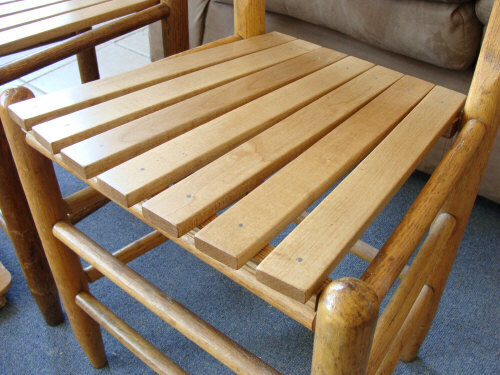 Everyone has gotten splinters from this type of chair in a bar. 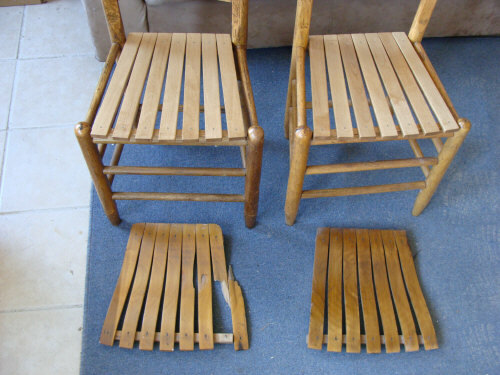 When I repaired these the customer allowed me to use better wood. I made the slats thicker so they wouldn't split again. 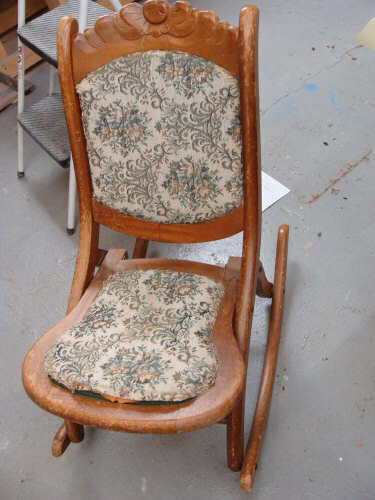 This cleverly designed folding rocker had been subjected to endless abuse and scuffing. Sanding this down was a bit of a challenge because of the rivet type of construction. 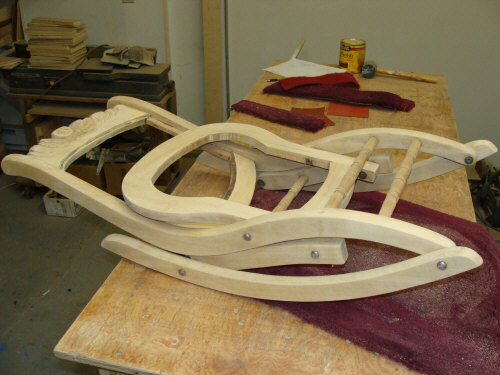 It couldn't be taken apart so sanding had to be done from many angles. 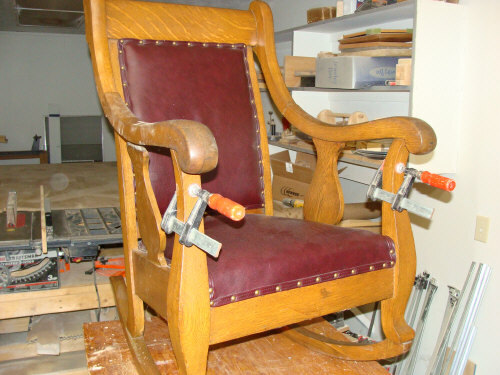 This heavy leather rocker was built in sections, not a good design. Many parts of it had to be repaired. 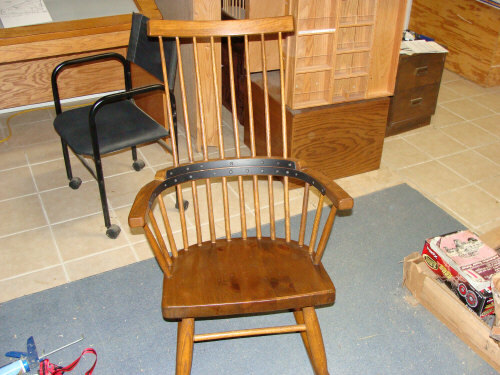 This rocker had a major flaw in the design. 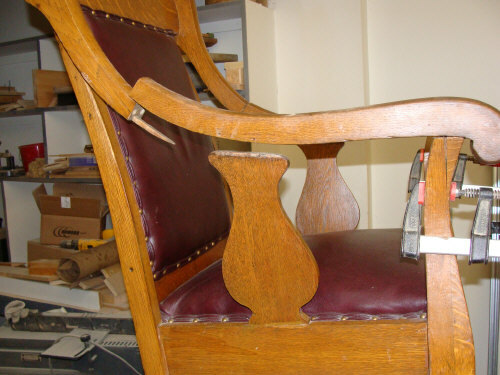 Instead of a continuous band of wood from armrest to armrest, it was made in three sections. These sections invariably split when someone pressed down on the armrests to stand up. The repair could only be done with external supports. 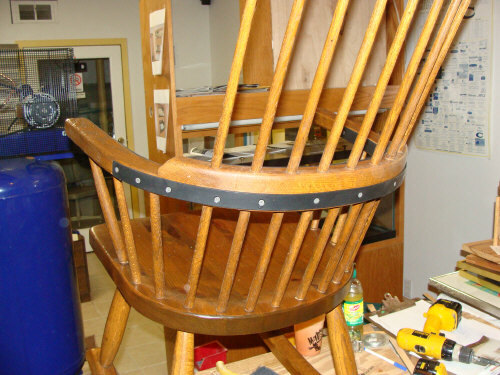 I hammered metal into curved sections to fit inside and out and attached them with screws.